This crowd-pleasing flavor starts with the blending of refreshing mint into our creamy milk chocolate. Next, we add honey and a wee bit of Irish whiskey flavor to make the Mint Irish Cream taste as good as anything you can order in your local pub. 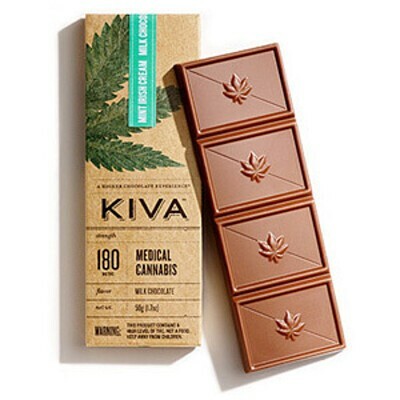 All Natural Ingredients: Pure Cane Sugar, Full Cream Milk, Cocoa Butter, Cacao Beans, Soya Lecithin, Vanilla Beans, Cannabis Extract, Natural Flavors. Allergy Warning: Contains Milk. May Contain Traces of Nuts.